My friend Gail, from high school posted the following quote on Facebook last week by Albert Clark. “In our daily lives, we must see that it is not happiness that makes us grateful, but the gratefulness that makes us happy.” Despite the unusual circumstances that many people have experienced in the Northeast, I am happy and it has to do with gratitude. The last two weeks have been challenging, but in the aftermath of Hurricane Sandy I have been blessed with overwhelming feeling of gratitude. I am grateful that I no longer live in the house on the water that I resided in for eight years that took in three feet of saltwater and debris from the canal. 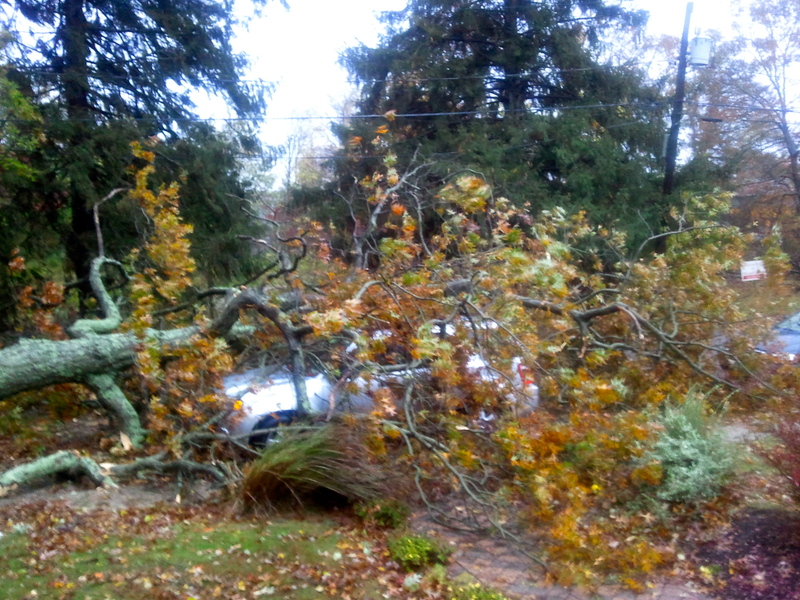 I am grateful that the big red oak tree on the corner fell on my car and not my house. 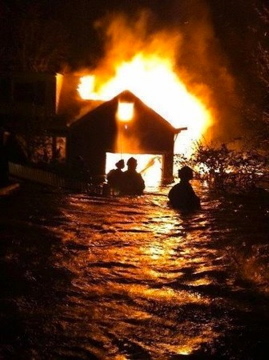 Speaking of my house, I am grateful that it didn’t go up in flames during the storm like three homes in my town and the 80 homes in Breezy Point in Queens. I am grateful that I was only without power for a week compared to those families that still do not have power. I am grateful that I live in a generous community that has reached out to so many in need which turned into a lesson for my son that didn’t require any traveling. 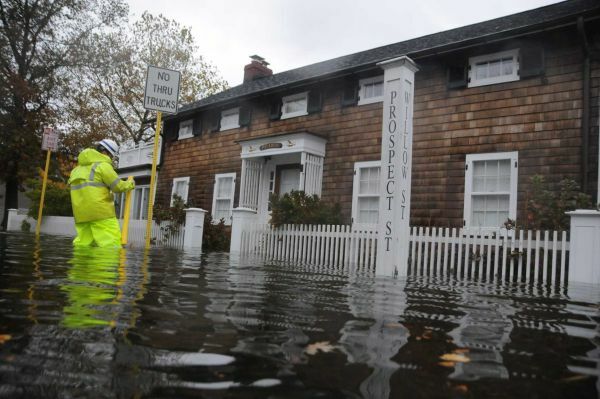 The first couple of days after the storm, I had no idea about how the storm affected neighboring communities in New York City and New Jersey. Once the power and cable resumed I was shocked and saddened as I sat in front of the television and read stories online. I quickly realized that many of the places that my son and I visited just this past summer like Coney Island, Atlantic City and Cape May were on the list of the devastated communities. I also learned that the HMS Bounty, which we boarded on Memorial Day weekend sank in Sandy’s wrath in of all places off the coast of the Outer Banks where we spent a week only two months ago.. The crew of the HMS Bounty was so friendly and really made it fun to learn about maritime education. Fourteen crew members were rescued, but sadly Claudene Christian was not rescued in time and neither was the captain, Robin Walbridge. 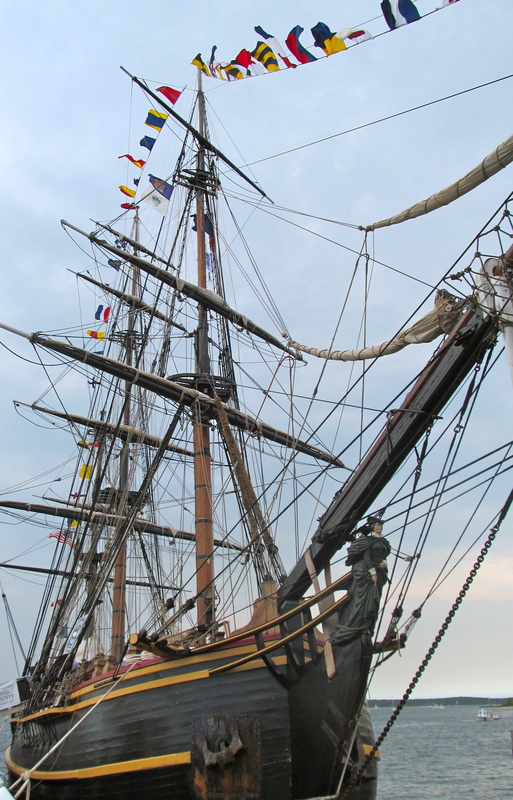 HMS Bounty in Greenport, New York (the tall ship’s home base) this past May. These revelations definitely made me pause with sadness, but at the same time I realized how grateful I was that we were able to experience these places before Sandy erased the historical charm of America’s first and longest boardwalk in Atlantic City or America’s First Amusement Park in Coney Island. In addition, I am truly grateful that the crew members that we met on the HMS Bounty were rescued after enduring what must have been an unbelievable frightening experience at sea. 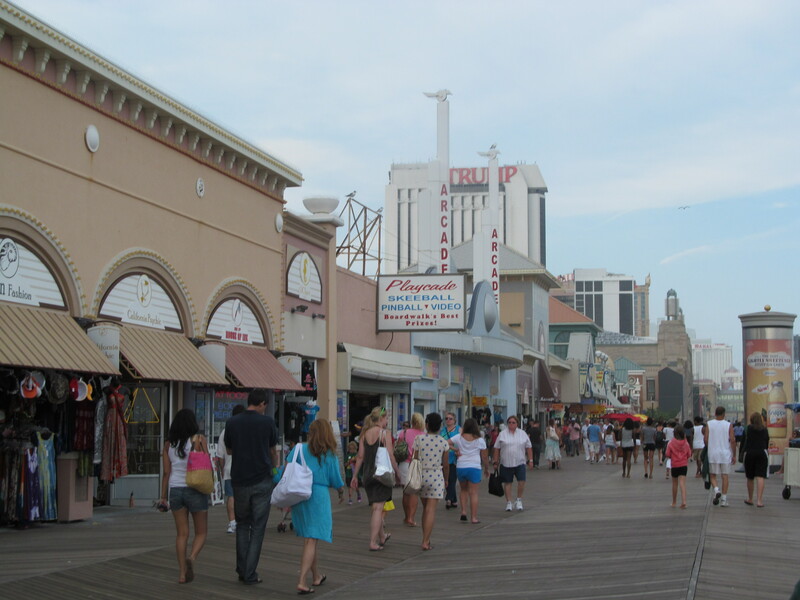 The Atlantic City Boardwalk this summer. 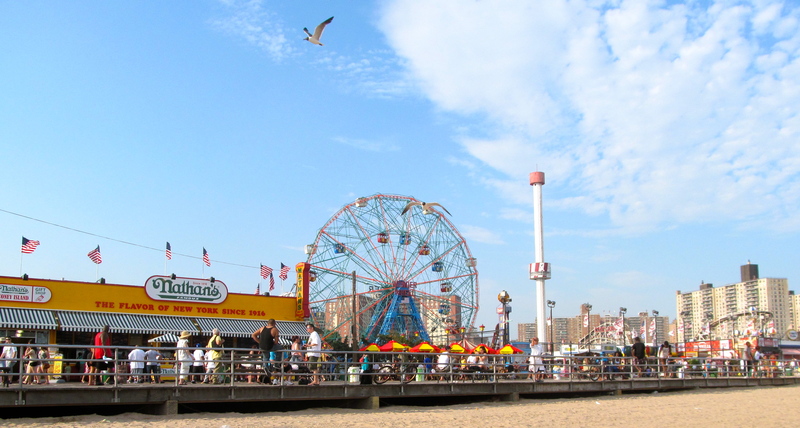 Coney Island this past summer – grateful for the memory of such a happy day. 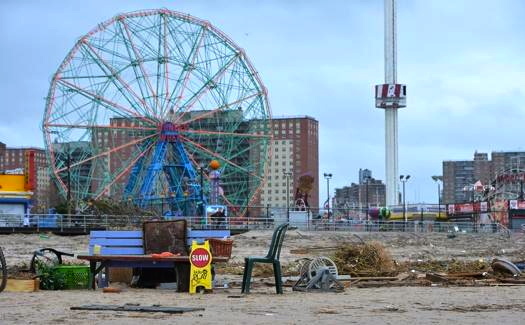 Coney Island after Sandy …all the electronics that made the Wonder Wheel go around sat under water. I also look forward to Ellis Island and Lady Liberty opening again once the significant storm damage has been repaired. The Statue of Liberty was once again illuminated this past Friday offering a beacon of hope to all those that literally are picking up the pieces of their lives. 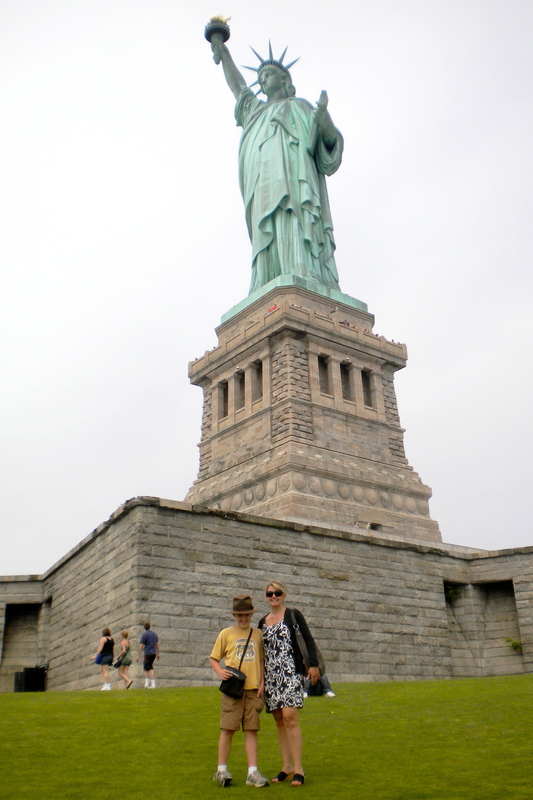 Visiting Lady Liberty before she was closed for renovations and from super storm Sandy. and once again experience happiness.